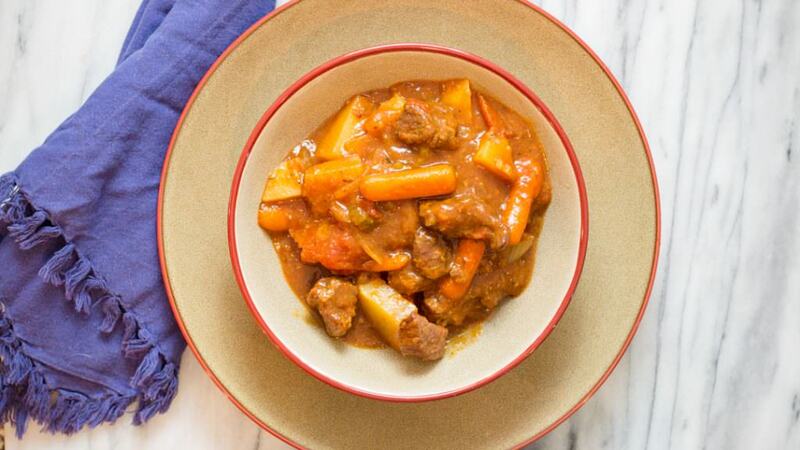 On a cold Fall or Winter day, Beef Stew is comfort food, it’s home, it’s just good. 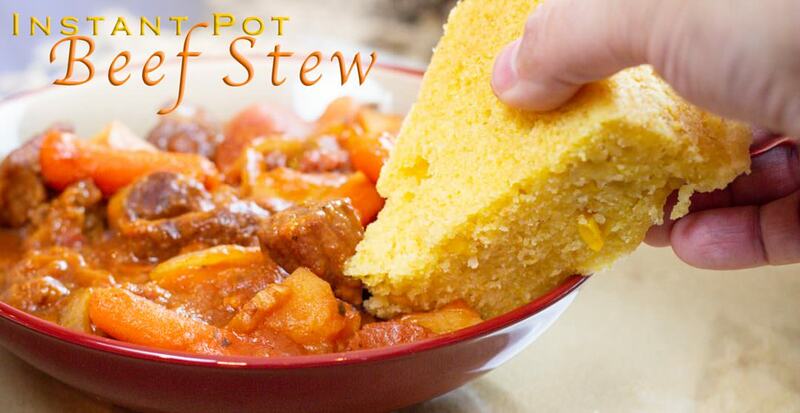 Stew is a thick soup filled with fresh vegetables in a tomato sauce served with Cornbread. Beef Stew is a combination of flavors, typically with fresh vegetables like carrots, celery, potato, onion, and garlic cooked in a tomato based liquid to make a thick and delicious stew. Whenever I make stew, I make enough for dinner and some for leftovers the next day because we just love it on cold days. 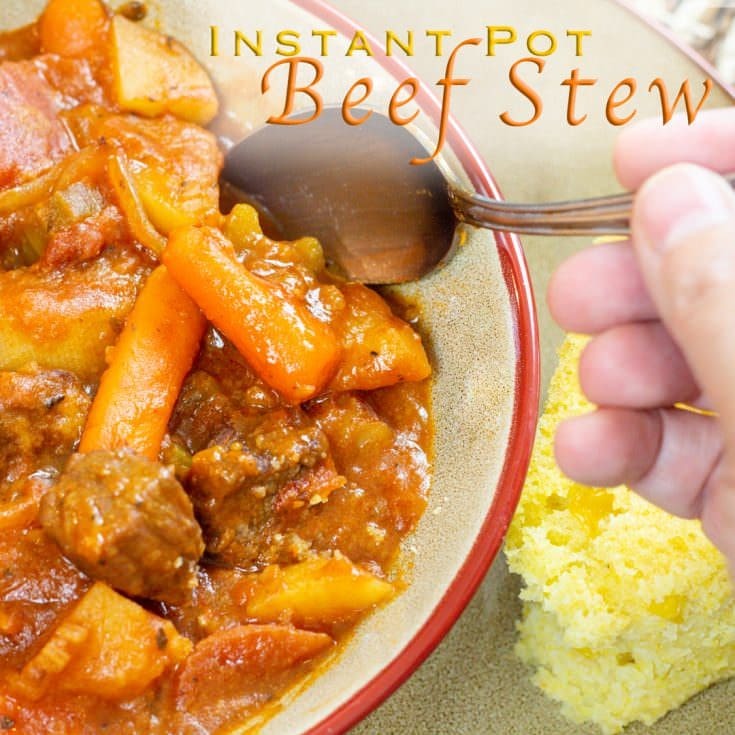 Instant Pot Beef Stew is no different than Crock Pot Beef Stew or Slow Cooker Beef Stew. The differences are the process in making and a little added liquid. Oh, and a LOT less time! 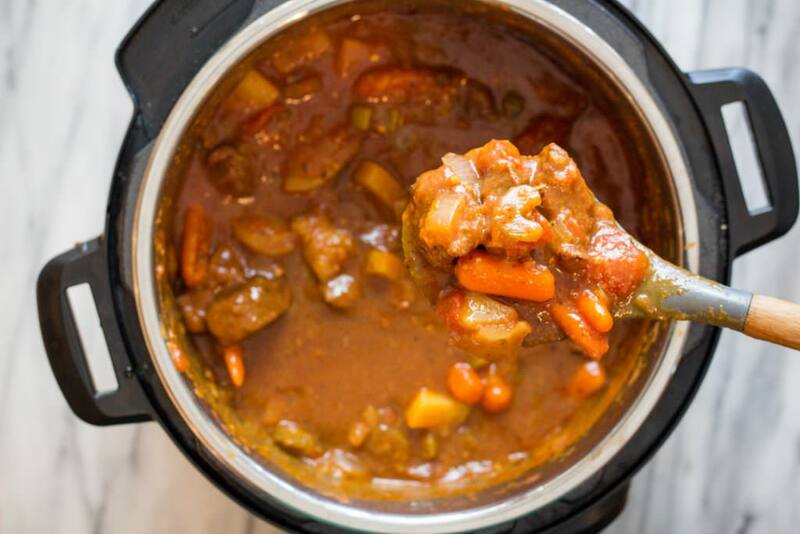 Making Instant Pot Beef Stew means you can be eating in about an hour with the same tender chunks of beef and tender vegetables. Anyway you look at this recipe is wonderful. I make this recipe both ways depending on my needs. If I will be gone all day and no time to throw it together when I get home, the Crock Pot or Slow Cooker is definitely the way to go. Besides, who doesn’t love walking in the door to a warm house that smells wonderful, right? Well I sure do! I’ve often wondered why you want to brown your meat before cooking it. Let me tell you . Do it! Don’t be lazy like I have been in years past. It makes such a difference to season your meat and brown it. The meat will holds in flavors and adds so much to your stew. It only takes a few minutes and is so worth it. If you brown your meat in your Instant Pot on saute’, make sure that you deglaze the bottom of your pot before moving forward. To deglaze you will need to add thin liquid from your recipe to lift off anything that has stuck to the bottom. This only takes a few minutes but is a necessary step. If you are using a crock pot or slow cooker, you will brown your meat on the stove. 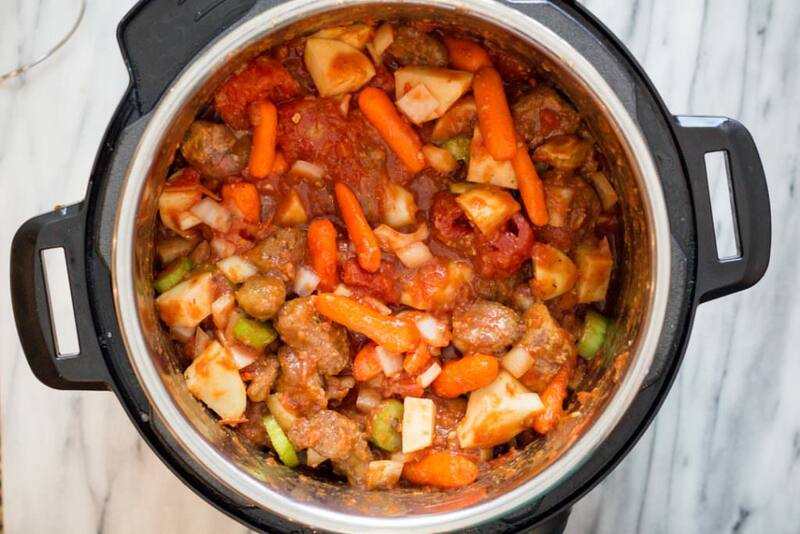 Make sure to add those yummy drippings into your crock pot as it adds so much yummy flavor! As you may or may not know, I am a dipper! I love to dip foods into my meal. 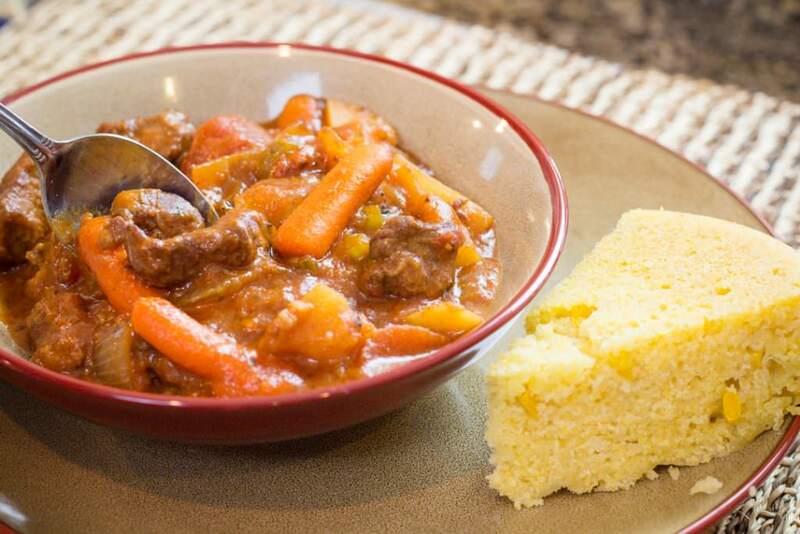 For this Beef Stew Recipe, I love too dip Cornbread. Wow! The texture and flavors are so good. I’ll even place a small piece of cornbread in my bowl and pour stew over the top and enjoy. You may also enjoy a piece of Cheese Bread dipped too. 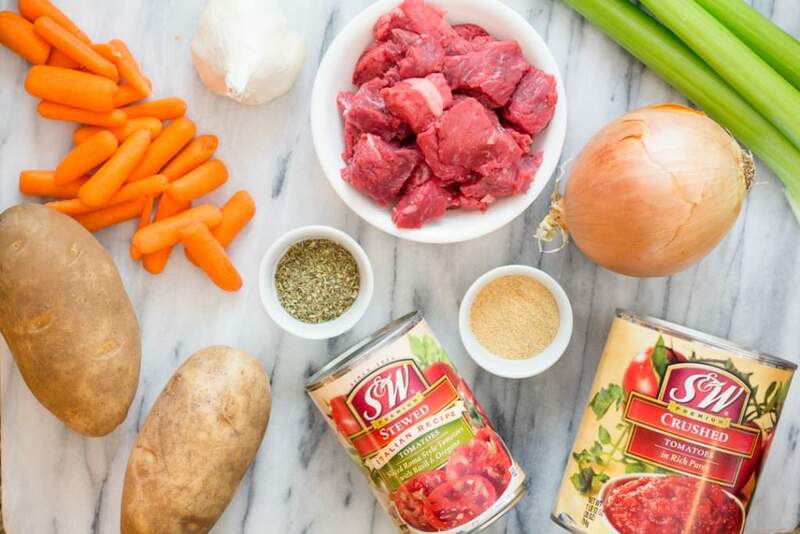 Just make sure to dip whatever you like, even if it’s just a spoon into this Beef Stew Recipe! Is Beef Stew Gluten Free? Yes, it can be! As always with allergies, make sure you know what specific ingredients are being used. However, this recipe uses fresh vegetables, beef, tomato sauce, and spices. It’s an easy fix if for some reason an ingredient isn’t gluten free. Is Beef Stew Keto Friendly? Beef Stew CAN be Keto Friendly. However, for this recipe a few modifications would need to happen. On the Keto diet, you would not want to eat potatoes or Carrots. Potatoes can be substituted with Turnips. Carrots can be left out completely or substituted with another vegetable. Need to take a meal to a friend or family member? 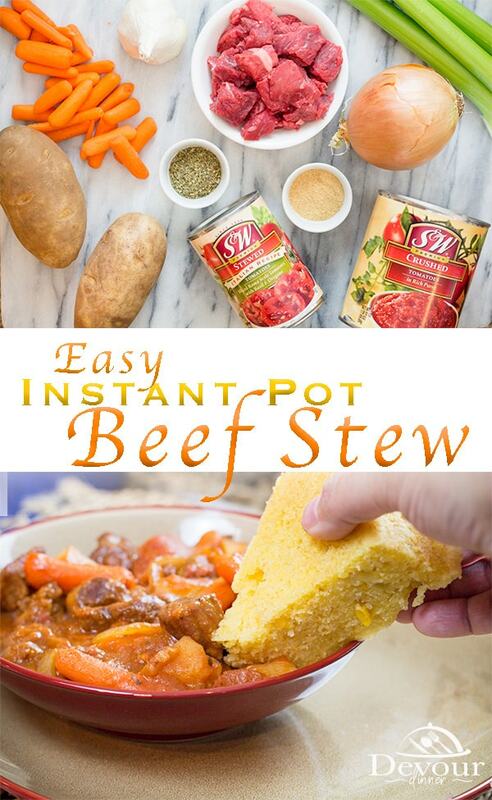 This Beef Stew Recipe is a winner! I’ve taken this recipe to Pot-lucks, neighbors, and family gatherings and it’s always eaten right up. 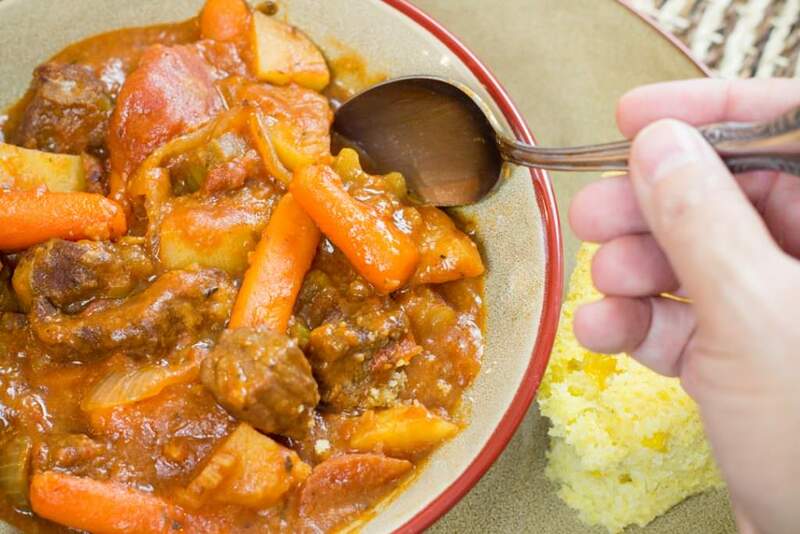 Beef Stew on a cold Fall or Winter Day is a perfect dinner recipe with fresh vegetables in a thick tomato sauce and served with cornbread. In a Gallon Zip lock bag put Flour, Lawrey's Season Salt, and Pepper and shake to combine. Add beef stew chunks and coat. Heat frying pan or Instant Pot on Saute until Hot. Add oil and add stew meat to brown. Do not over stir. Allow the beef chunks to brown and then turn sides to brown. The bottom of the pan will have bits cooked onto it. This is fine. Turn off Instant Pot. 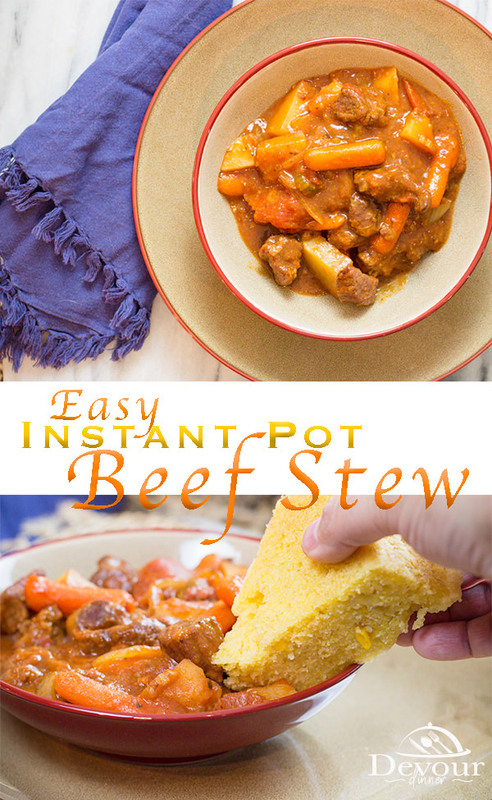 Remove beef from Instant Pot. Deglaze Instant Pot with beef broth by adding beef broth and allowing the liquid to help lift off the cooked bits left behind.. Scrape bottom of pan so nothing is stuck on the bottom. Pour can of Stewed Tomatoes on top, Pour can of Crushed Tomatoes on top. Sprinkle Italian Seasonings. DO NOT STIR. Set to Manual for 35 minutes and allow a 15 minute Natural Release. Then Quick Release the remaining. It's Important that you DO NOT Stir the ingredients together. The Pressure Cooker needs thin liquid to create pressure, the beef broth on the bottom of all the ingredients will do this. If you stir, the Pressure Cooker will likely not pressure up.